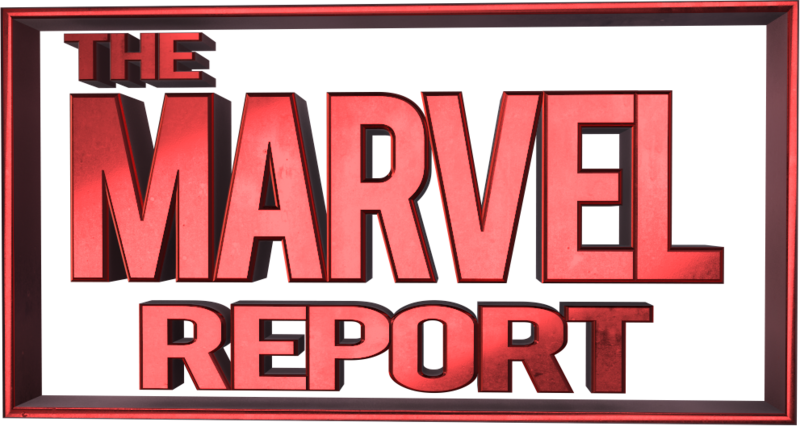 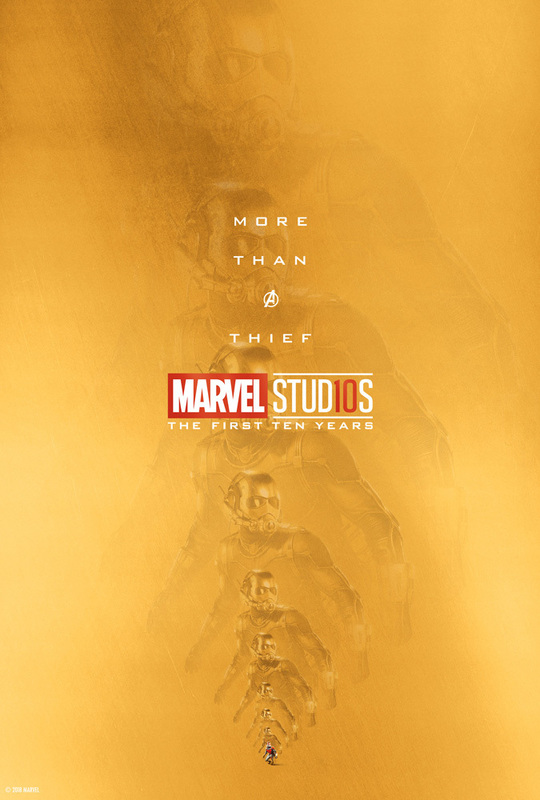 Marvel Studios has produced nineteen movies in ten years, earning nearly $17 billion at the box office, and that is reason for celebration. 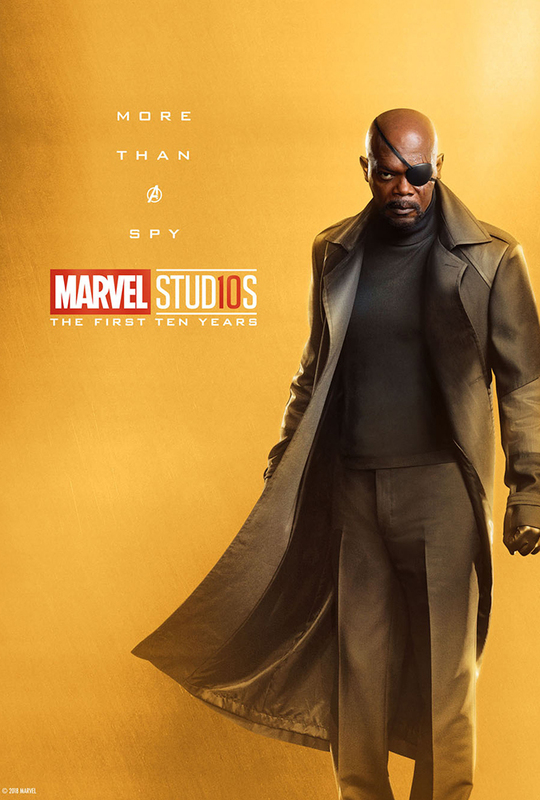 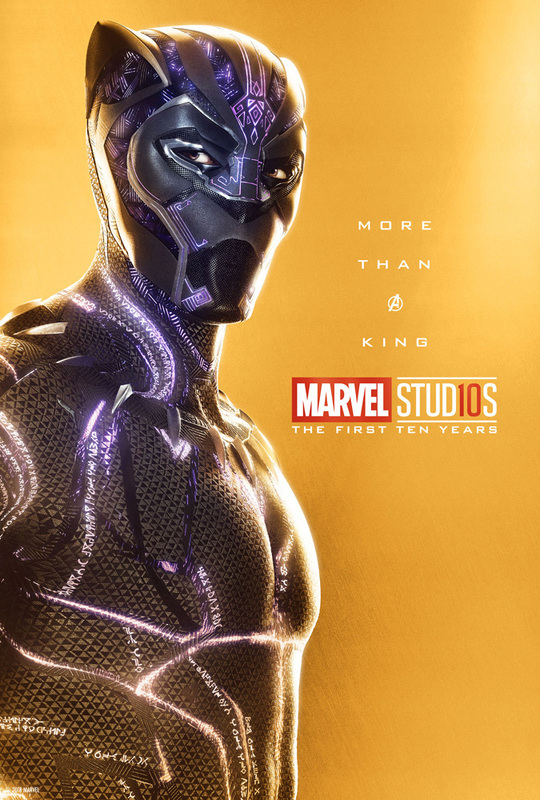 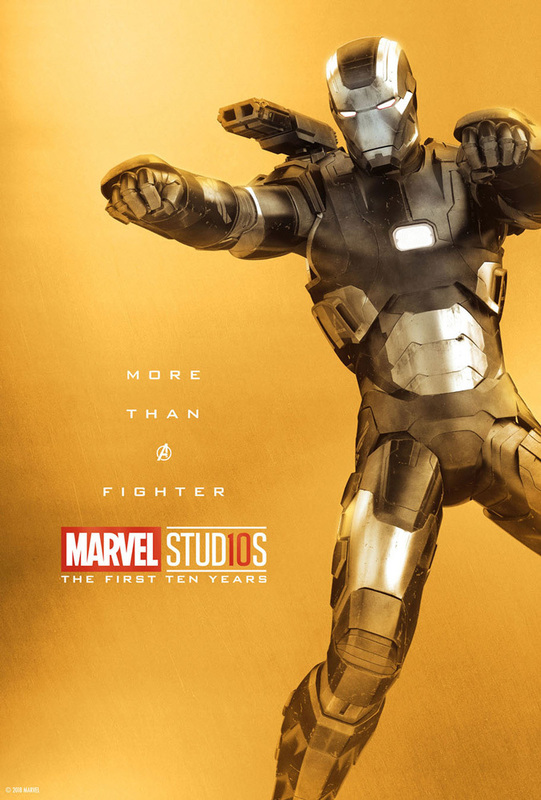 Over the weekend, 33 beautiful gold posters were released featuring the heroes of the MCU. 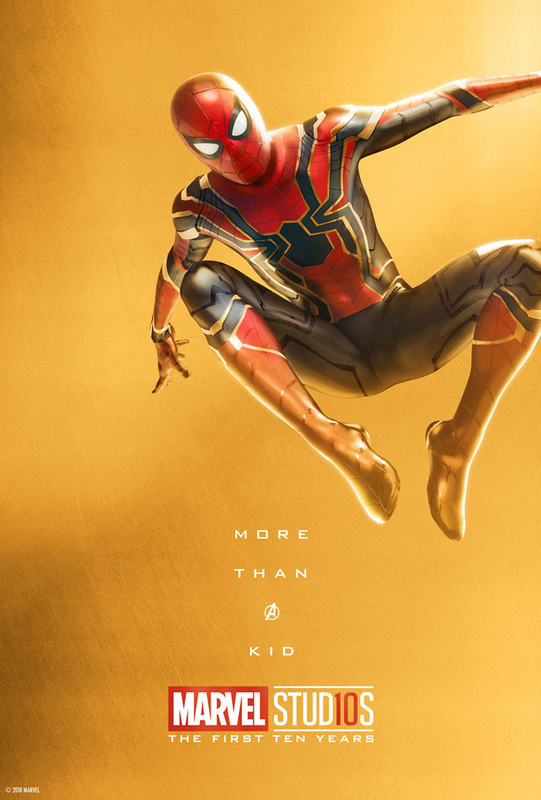 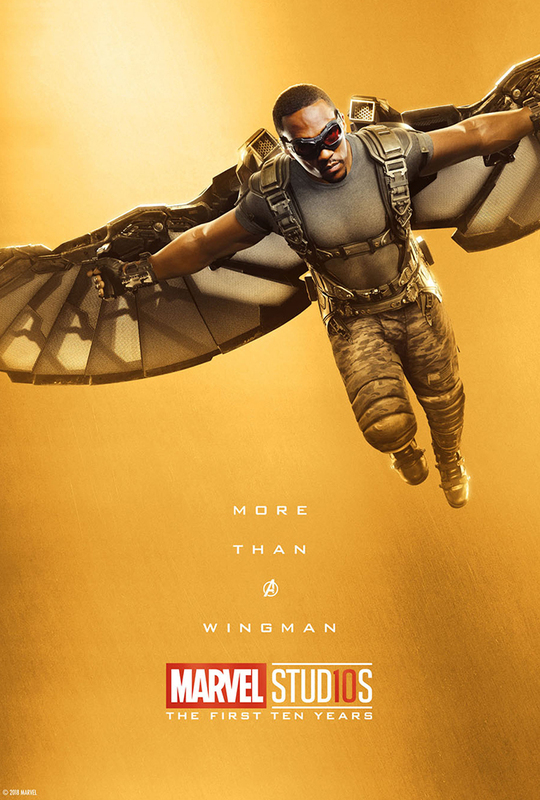 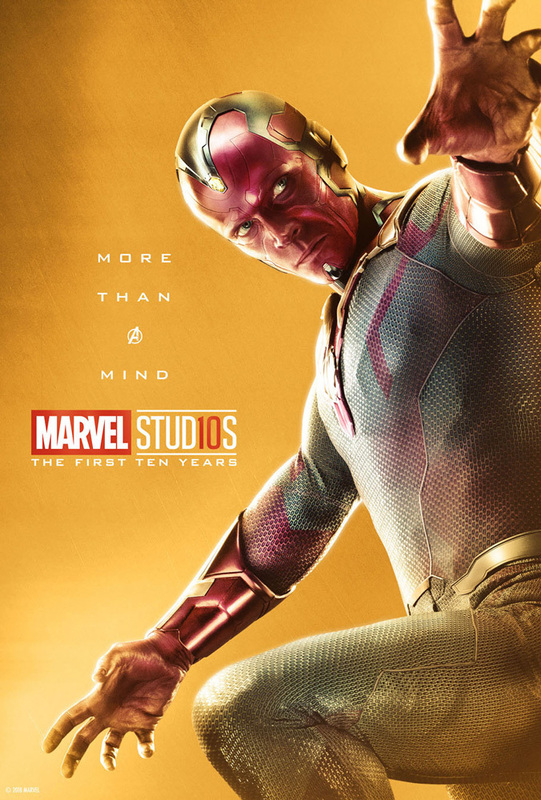 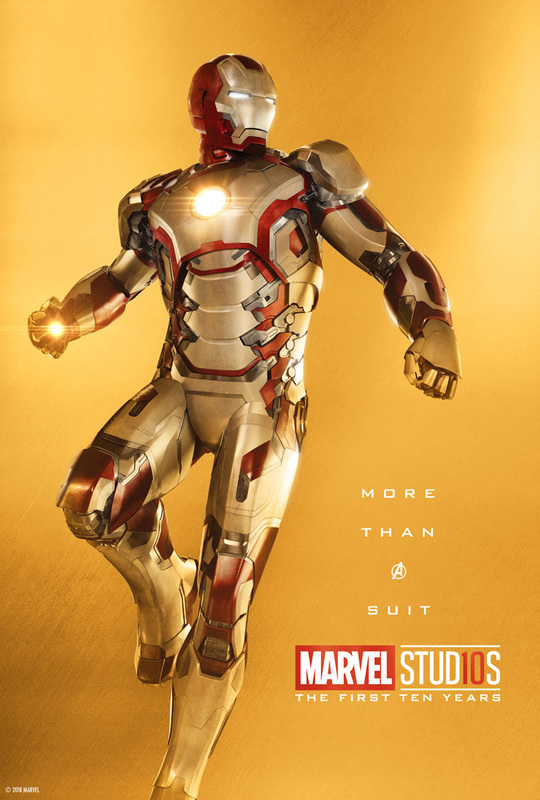 The team poster has the caption “More than A Hero” with the letter “A” being replaced by the Avengers symbol. 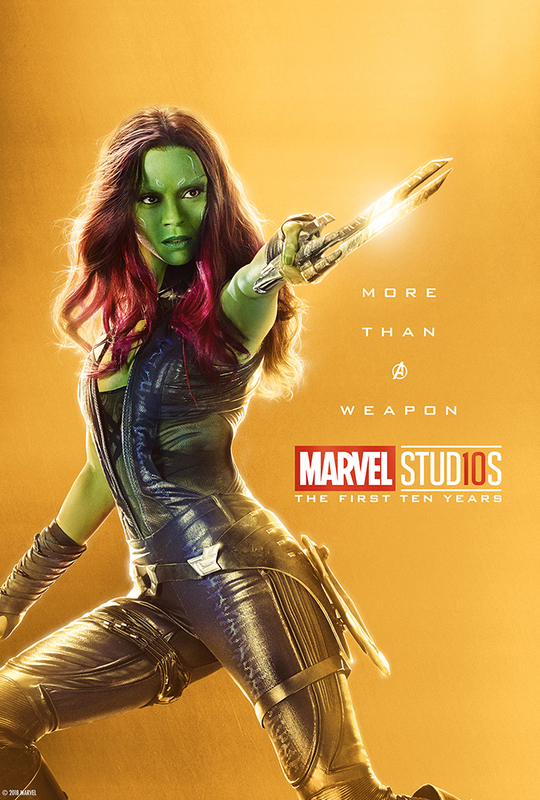 Each character poster also has a “More than A…” caption that applies to each character individually. 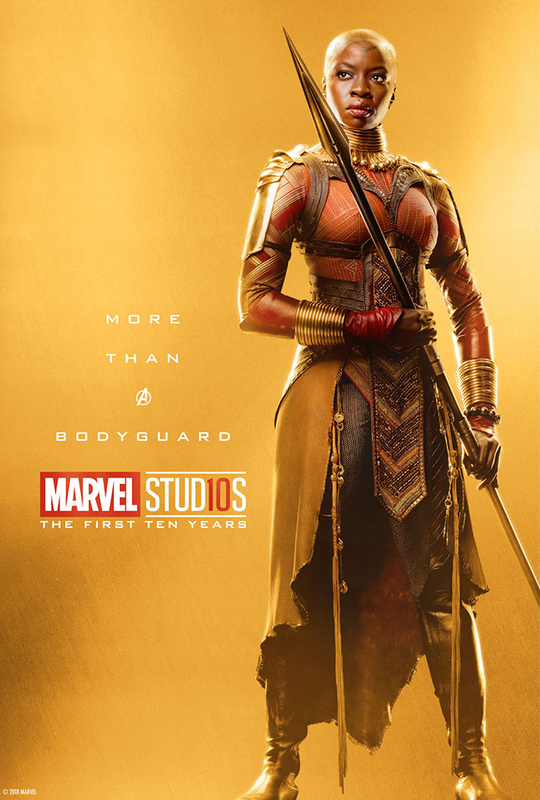 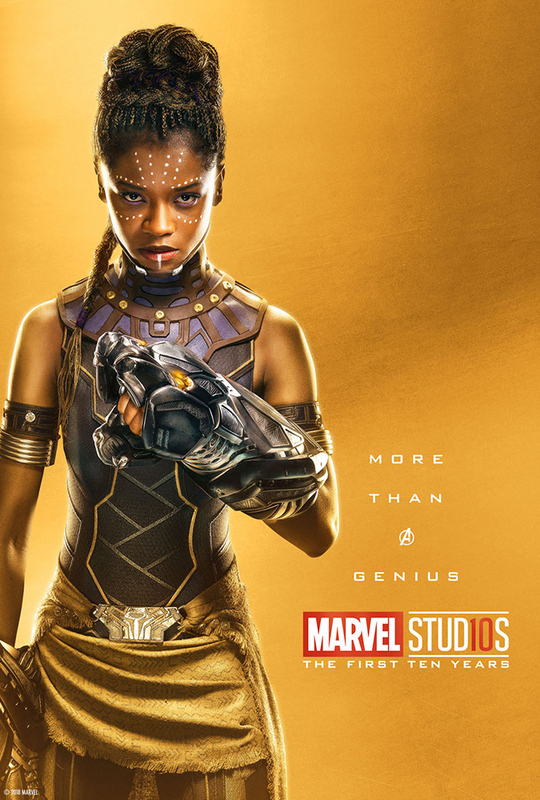 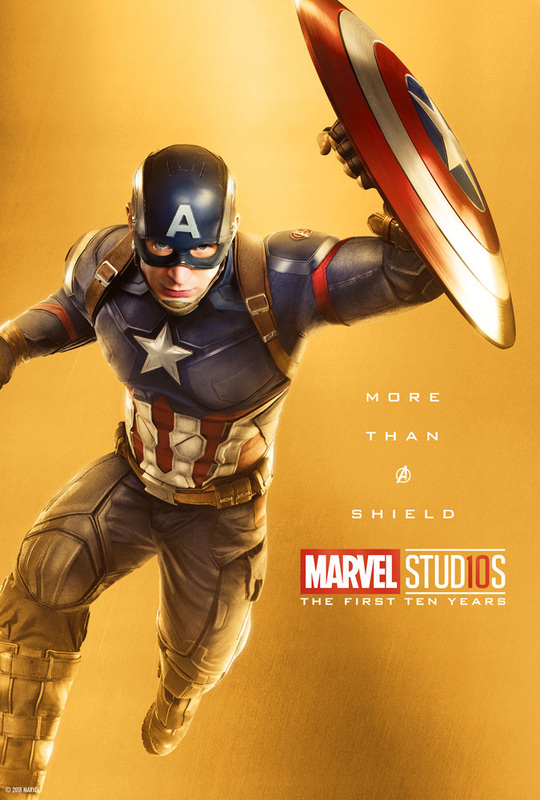 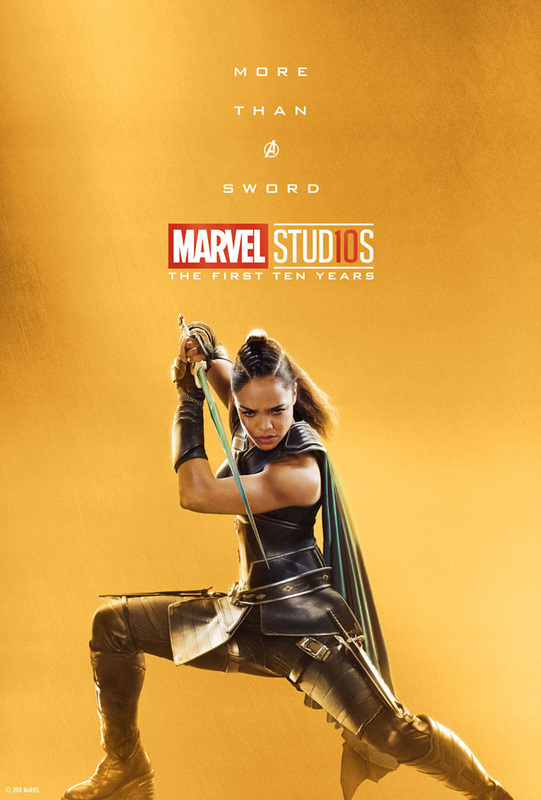 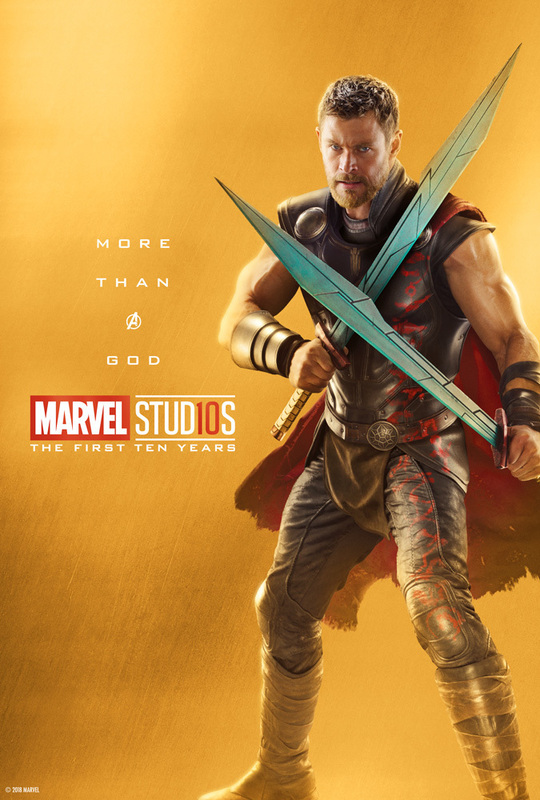 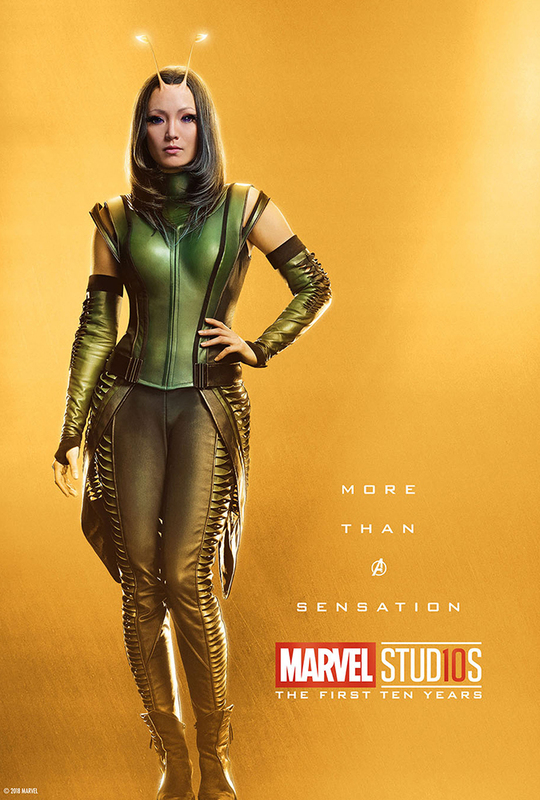 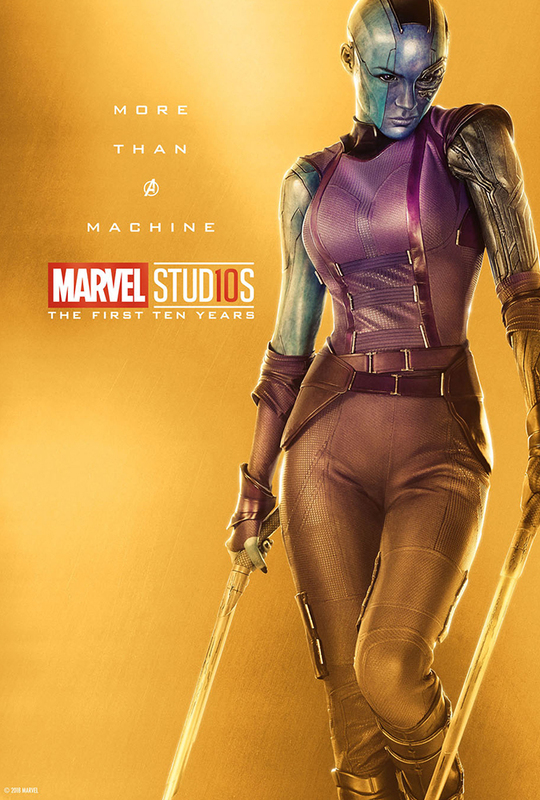 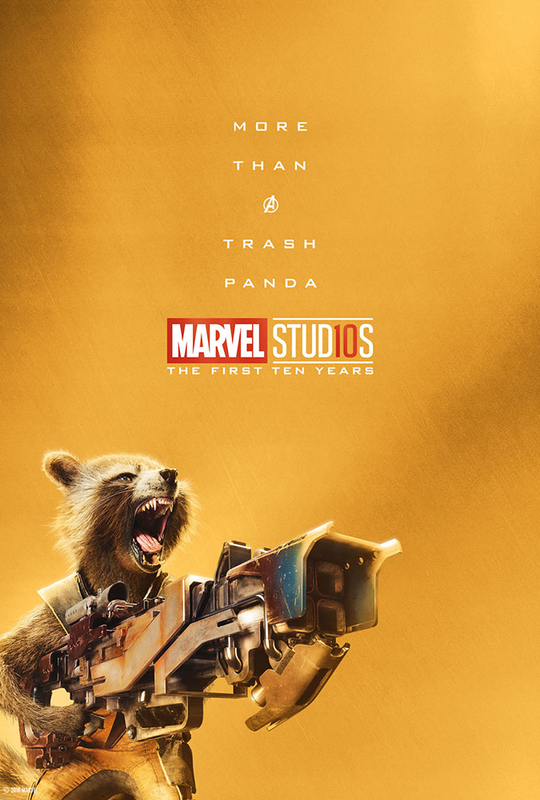 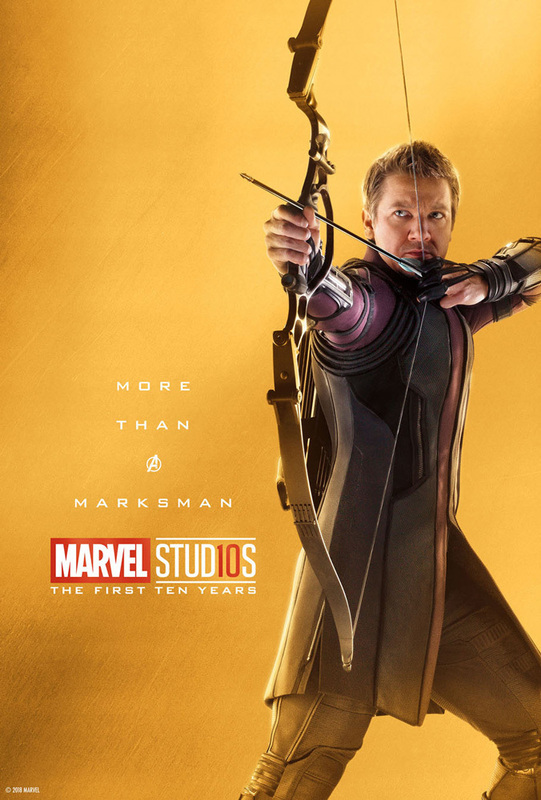 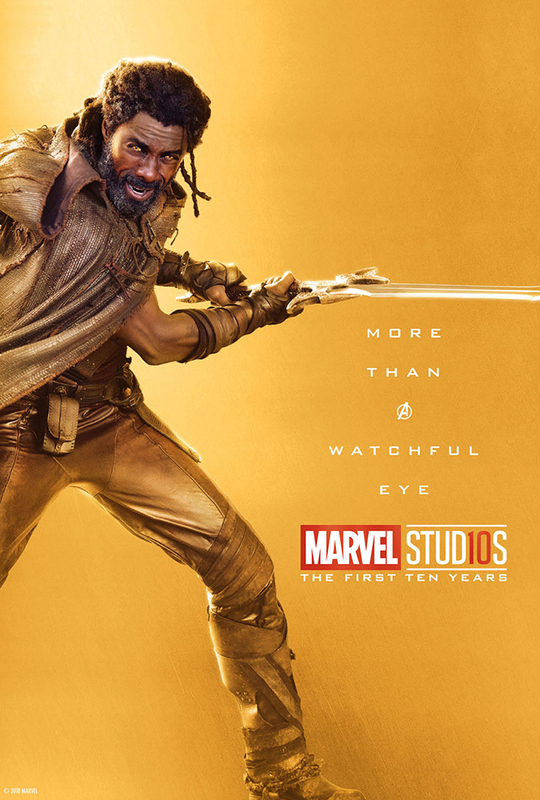 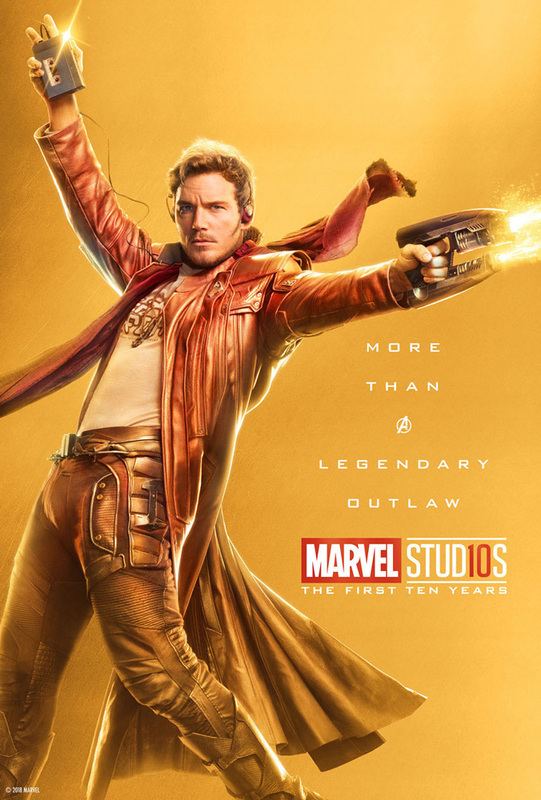 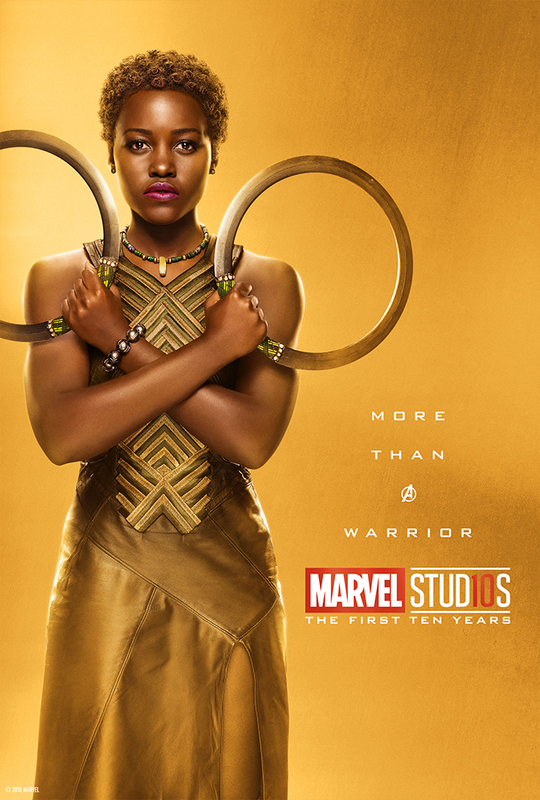 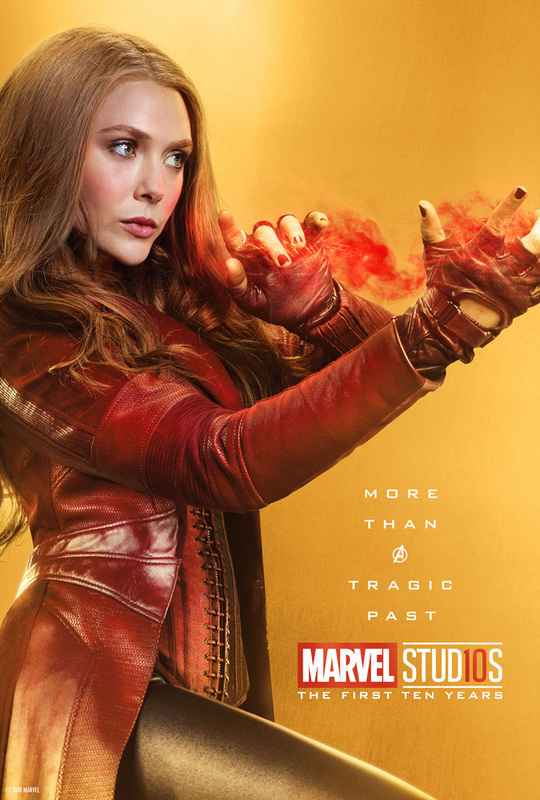 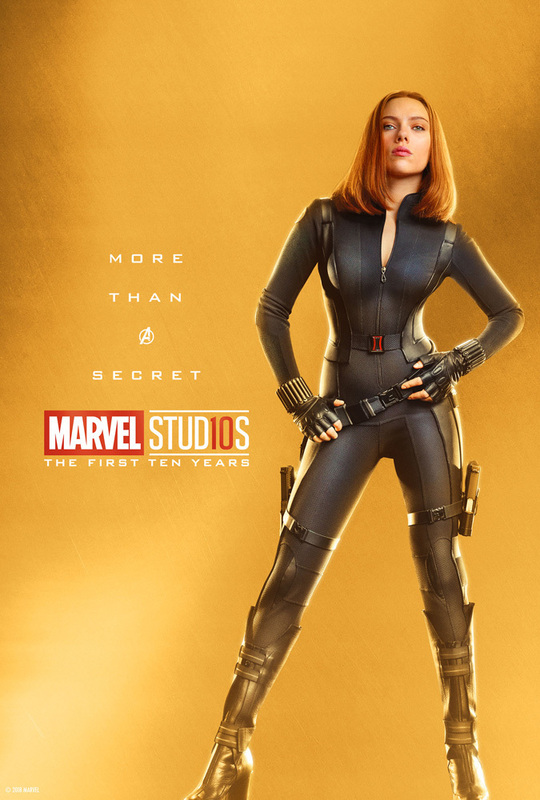 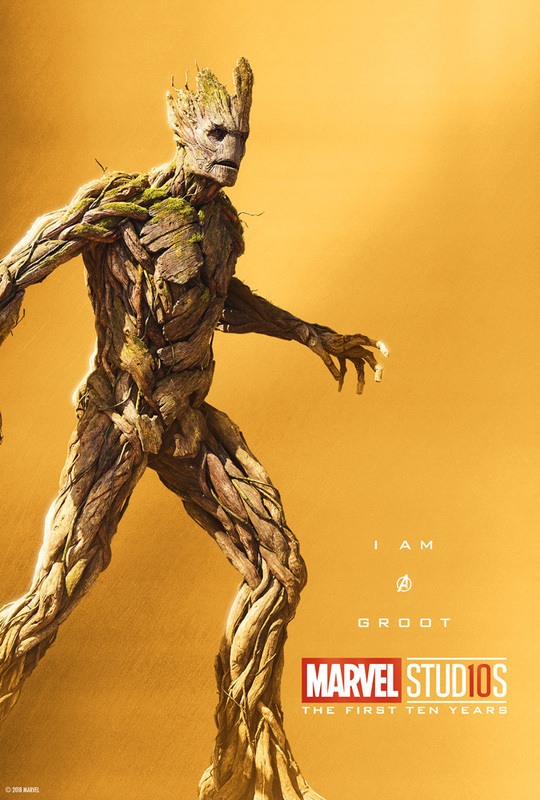 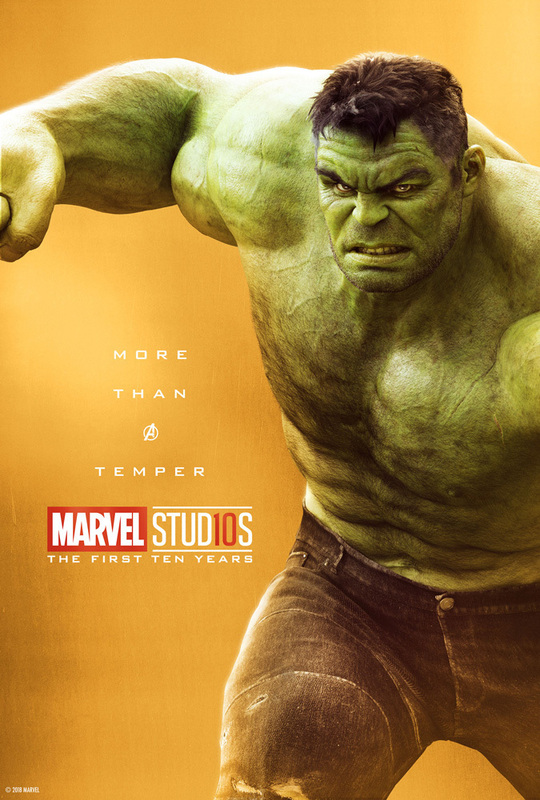 The posters were released on http://www.marvelstudios10.com which will transport you to the 10th anniversary page on the Disney Movie Rewards website (because it’s all connected). 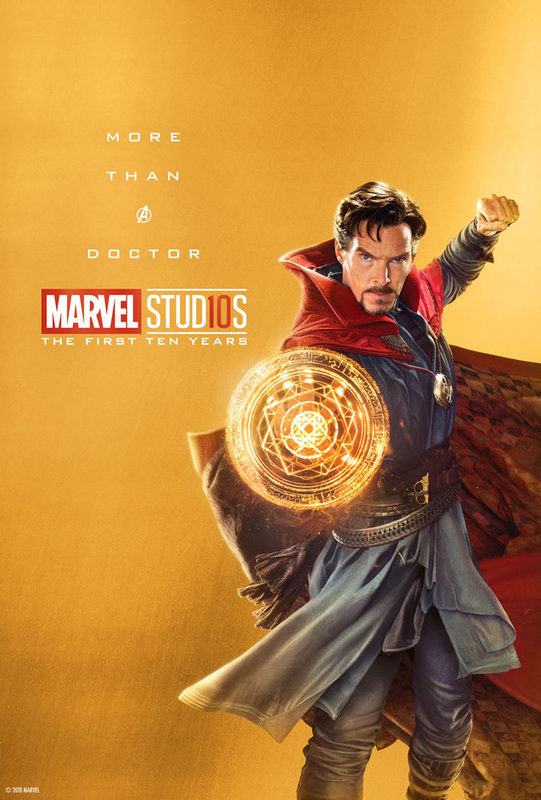 That page not only showcases the posters but also has a number of other features, including a pretty cool timeline of all 19 movies in the MCU. 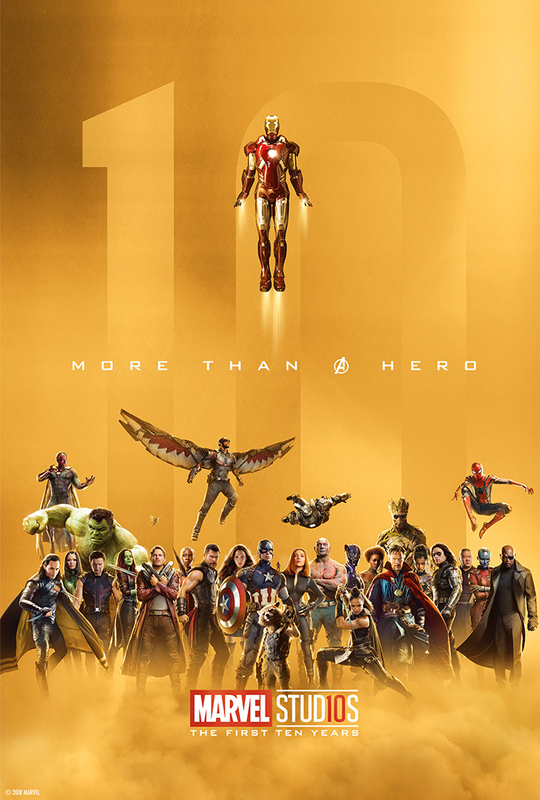 This is a lot of posters, and this is only the heroes. 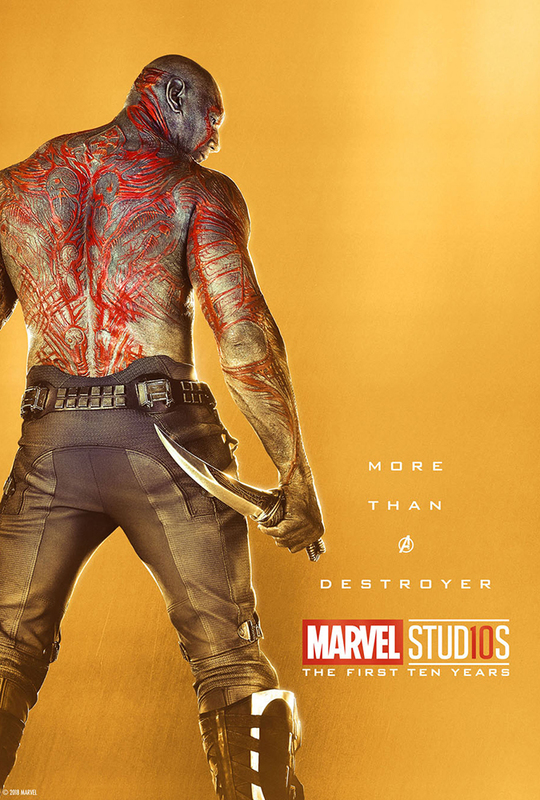 Will we get villain posters as well? 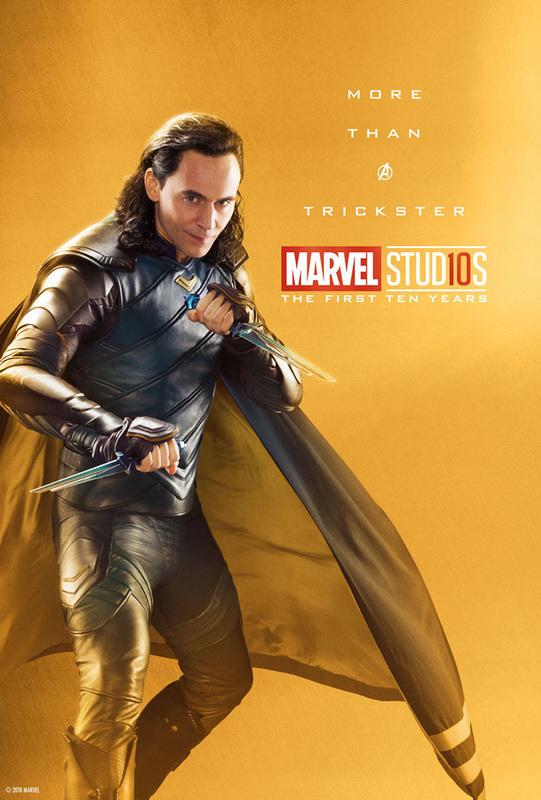 Will any of these posters be available at SDCC, which is just five weeks away? 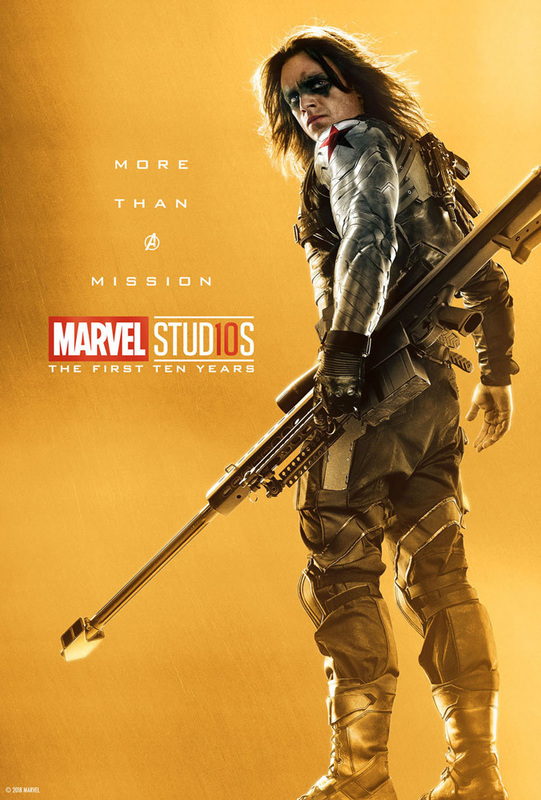 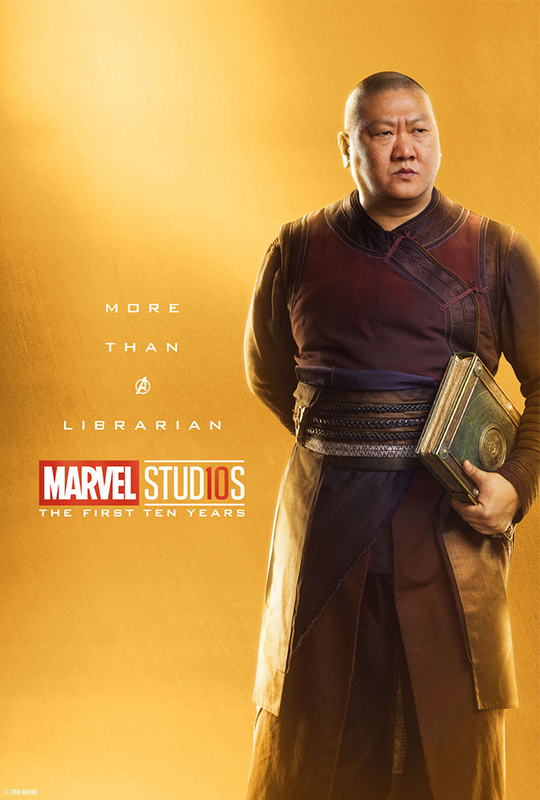 Certainly the team poster should be available at the Marvel booth. 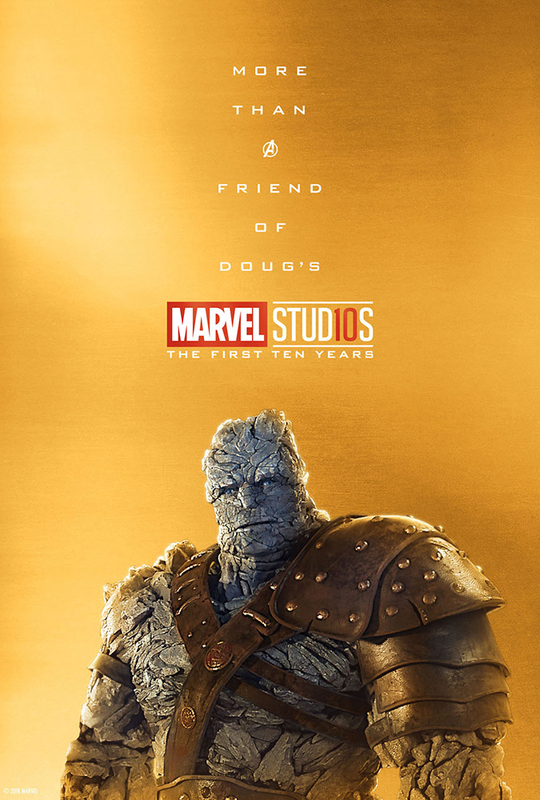 Kevin Feige did say that Marvel Studios was skipping Hall H this year, but that they would be celebrating the 10th anniversary at the Marvel booth on the exhibit hall floor. 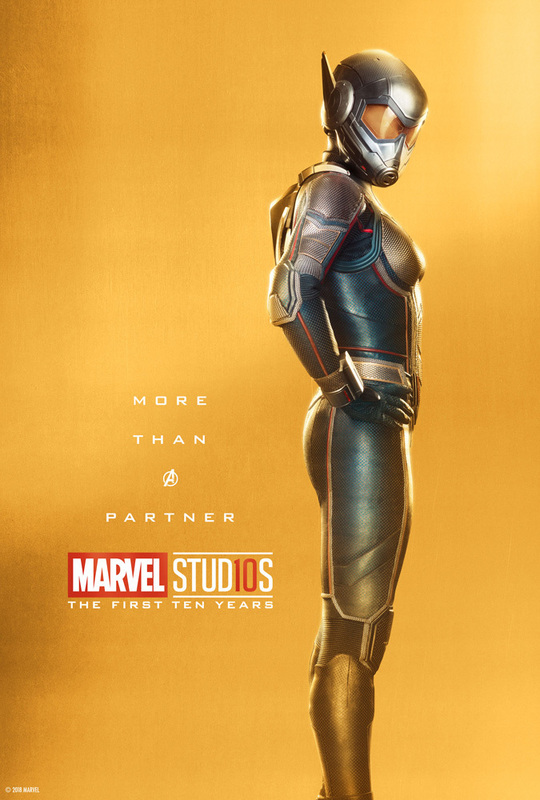 Ant Man and The Wasp, the 20th installment in the Marvel Cinematic Universe is less than a month away, and hits theaters on July 6th.